Godsmack will take the Pavilion stage April 10th with special guest Stitched Up Heart! Don't miss your chance to see Godsmack live in concert! General parking will be $10. Enjoy the show with your friends and family from one of our luxury suites! Contact Eric Bauer at 409-951-5427 or [email protected] for more information! 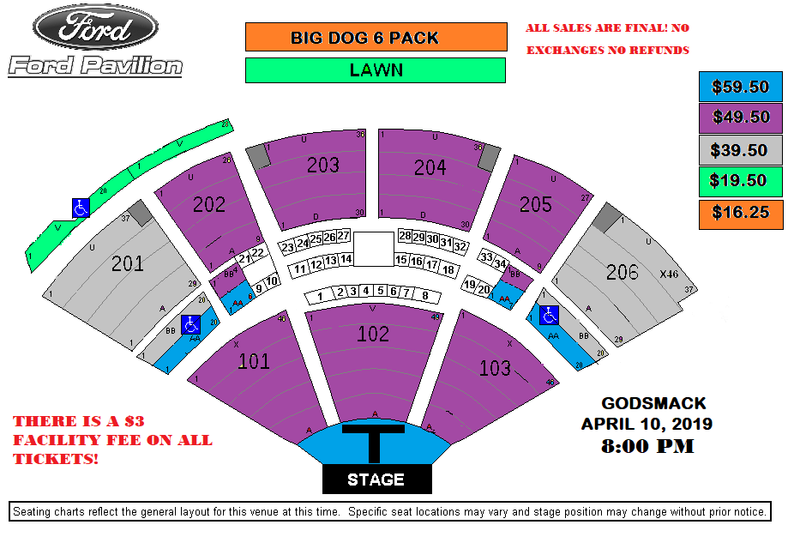 Big Dog Size Pack- 6 lawn tickets for under $100!